Verizon, End Net Neutrality? Why not just increase Unlimited plan rates? On June 11th, Net Neutrality will officially end. Those in favor of net neutrality have long been arguing that the fees for internet access should be the same regardless of your intended use of the internet. 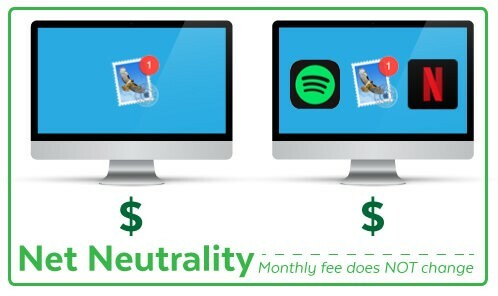 In short, whether you are using email, downloading music files or watching movies from your favorite streaming media service, your monthly fee shouldn’t differ. Further, as long as you’re not breaking any laws, your bandwidth shouldn’t be throttled by your ISP. We, consumers, buy internet from our providers, like Verizon. We decide how we want to use the internet we purchased, watch movies, stream music, email or chat. We are offered Unlimited packages to switch or sign up for our services with a specific company. 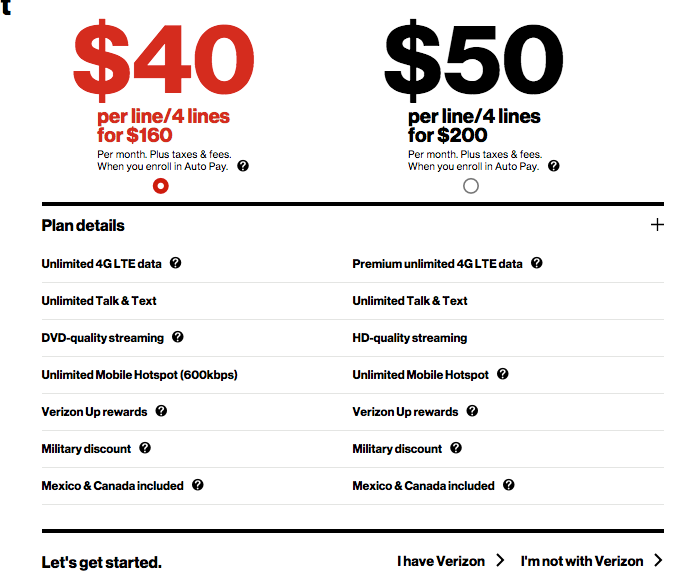 Current plan offered on Verizon website May 10th, 2018. Agreed, we are all streaming more videos and music. It is estimated Netflix consumes 35.2% of broadband in North America. And? Verizon is stating it is costing them more and more money to support this service. And as the cost of the service is increasing, Verizon is unable to properly invest in infrastructure needed to next Generation 5G networks. Gas Prices change when cost change why not Data? Verizon- Why do we need to end Net Neutrality? Why not just increase Unlimited plan rates? Founder member of the Women Empowerment Score, a standard workplace equality score allowing consumers buy brands that empower women.